Home > US Sports > NBA > Why the Knicks are still a destination for top Free Agents? Everyone is writing off the Knicks as a potential destination for free agents? Yes they’re struggling. But if you are a free agent this summer, you’re telling me you wouldn’t to talk to Phil about taking your talents to New York? I mean the guy has how many rings again? New York is a great destination for free agents. 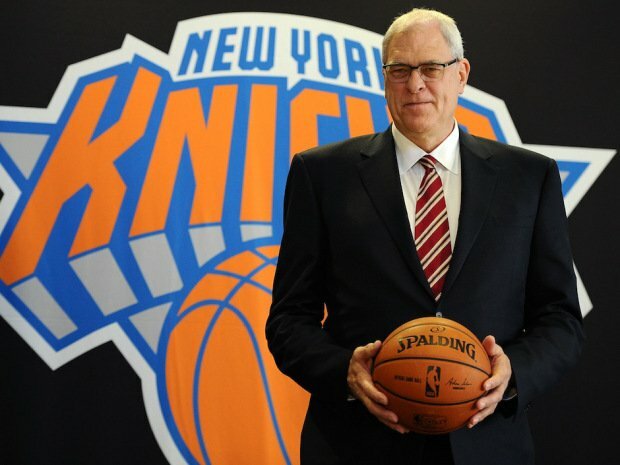 Phil will have Melo, Hardaway Jr. Calderon and hopefully a top 5 pick on the roster. If the Knicks get rid of Calderon, you don’t think Lemarcus Aldridge and Marc Gasol don’t think about forming a Big 3 in New York? With the Knicks’ lottery pick, in a year or 2, could be a Big 4. If you’re Lemarcus Aldridge or Marc Gasol, is a Big 3 with Melo better than what they have now? Both Gasol’s and Aldridge’s teams are both stagnant. They are playoff teams that get knocked in the first or second round every year. In New York, they’ll be under the tutelage of Phil Jackson and Derek Fisher who both have won championships. The Knicks would be a better situation for both Aldridge and Gasol. In New York, Aldridge would have Melo and Gasol instead of just Lillard and Gasol would have Aldridge and Melo instead of Conley Jr. and troubled Zach Randolph. Are those not better situations? Phil had a similar trio towards the end of his career. I think that was the trio of Kobe, Gasol and Bynum. Oh yeah, they won 2 championships. Why can’t Melo, Aldridge and Gasol win one? You think Cavs with Kevin Love and Mosgov guarding the paint can stop them? They would give them nightmares. It would also make it tough for Chicago who may just be their biggest competition. It’ll be fun to see the Bull-Knicks renewed. My advice. Don’t count Phil out. Just because they hit the reset button in 2014 doesn’t mean they’ll strike out in 2015.